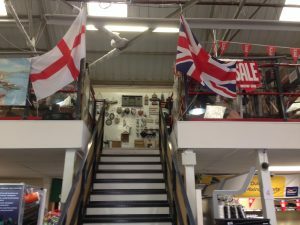 Hayling Hardware Ltd is a family run hardware store on Hayling Island selling tools, hardware & garden supplies. They needed to expand their premises and turned to HMF to achieve their goals. 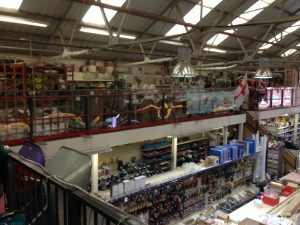 The solution to their needs was a public access retail mezzanine floor with public access hand railing, this effectively expanded their shop floor enabling them to display more products in an area customers could easily access & browse. The mezzanine floor was fire rated with a 1 hour suspended ceiling, fascia & column casings to meet building regulation requirements. The whole installation was completed out of hours during the night to minimise disruption to the customer to enable them to operate safely and remain open to the public. With this in mind the project was completed in less than 2 weeks from start to finish, on time and on budget!